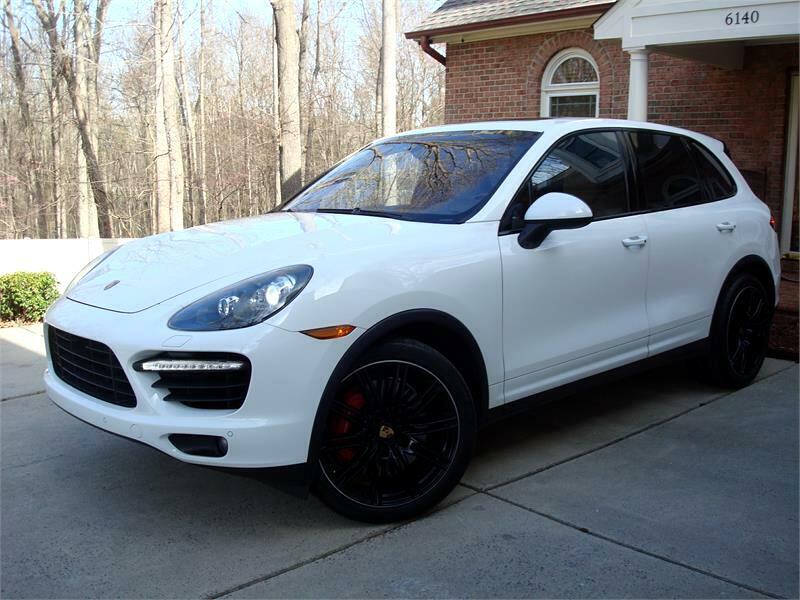 The 2013 Porsche Cayenne is a mid-size luxury SUV available in Turbo trim level. The Cayenne Turbo utilizes the 4.8L V8 with twin turbochargers to boost numbers up to 500 hp and 516 lb-ft of torque and comes equipped with AWD and an 8-speed automatic transmission. The Cayenne Turbo achieves fuel mileage within an EPA estimated range of 15 mpg city to 22 mpg highway. Safety is comprised of advanced braking, stability management (PSM), active suspension management (PASM), dynamic chassis control (PDCC) and anti-theft protection. It is shown in beautiful white over umber/light tartufo leather interior featuring the 21x10 Sport Edition powder coated wheels and Sport Chrono package! Also features the Burmeister high end sound, panorama roof, adaptive cruise control, lane change assist (LAC) & the tow package. This Cayenne comes as a 1 owner clean Autocheck & Carfax SUV with recent service & new front brakes!